As we look forward to the next year, I send best wishes for healthy lakes in 2008. And I hope that you consider adding some of these resolutions to your personal list. 1. This year my septic tank will be pumped and inspected (optional if I did this last year). If the tank baffles are missing or damaged, I’ll have them replaced. 2. I will “overseed” my lawn rather than spread fertilizer or pesticides. I’ll tell my lawn service – or myself – to cut my grass high and leave the clippings on the lawn. If I think fertilizer is needed, I’ll use phosphate-free fertilizer, or, even better, I’ll test the soil first so I know. 3. If I live on the lake, I’ll plant a “buffer” of native plants to slow the flow of rainwater or stormwater (and the pollutants it carries) into the lake. I’ll pull up some invasive plants and plant some native ones. 4. 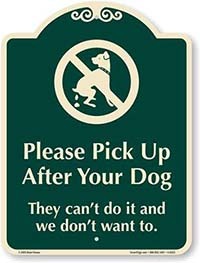 I’ll pick up after my pets and throw their poop into the trash. 5. This year I’ll make sure no oil or gas from my mower or car spills on the ground or into the lake. 6. If I take coolers, sand toys, or other beach or boat items to another waterbody, I’ll make sure that they are free of weeds and shells before bringing them back here so I don’t transport invasive plants and animals. 7. If I haven’t done so already, this is the year I’ll take a safe boating course. 8. I’ll start or use a compost pile (away from the lake shore, wet areas, or streams). 9. If it’s icy, I’ll minimize my use of salt by using kitty litter or sand where I can. 10. I’ll learn more about my lake’s history, health, plants, or animals this year.